Adds something similar to xycraft fabricators. They pull ingredients into their inventory before crafting, and cannot craft items with 9 different ingredients. You are allowed to use this mod n a public modpack so long as you give credit to me for this mod (my username and a link to http://robotbrain.github.io/fabricator.html will do) Private modpacks can do what they want. Additional information is available here. 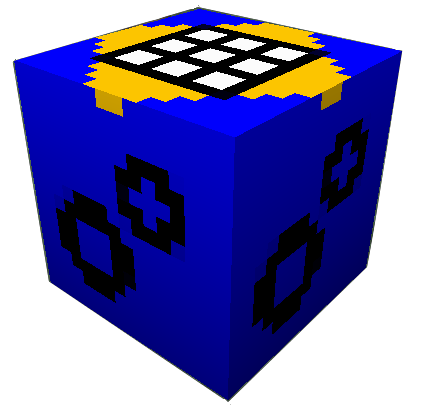 There is a config option to use a diamond block instead of a nether star in version 1.7.2-1.1.1.14 and later. The Red region is where the recipe is programmed in, the blue area is where the output is displayed. The purple area is storage for items. Ingredients will be pulled from here and adjacent inventories, and the result will be put here. Comment here with them if/when you finish, and I will consider them. Would you like someone to make a more detail design for the fabricator?